Colors start out stacked at the bottom, then I started argyling them. If I keep going I think it will have very pronounced orange X's! 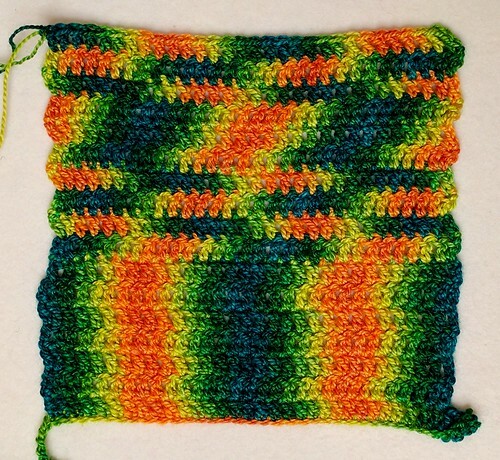 This is argyle pooling done with double crochets, instead of shorter stitches like single crochets (moss st) take more rows before they look recognizably like an argyle, and need to be viewed from a greater distance.